Got a pesky cough? Hit it with some honey with Chestal Honey Cough & Congestion Syrup from Boiron. Chestal Honey Cough & Congestion Syrup is a homeopathic syrup featuring real honey to provide temporary relief of dry cough due to minor throat and bronchial irritation. Gentle and soothing, this syrup is designed to help loosen mucus and thin bronchial secretions, making coughs more productive to relieve congestion and irritation. For optimal quality, its all-natural plant, animal and mineral ingredients are officially included in the Homeopathic Pharmacopoeia of the United States. And for a touch of natural sweetness and extra soothing, this gentle syrup also contains real honey. Take care of your cough with a touch of honey and homeopathy. 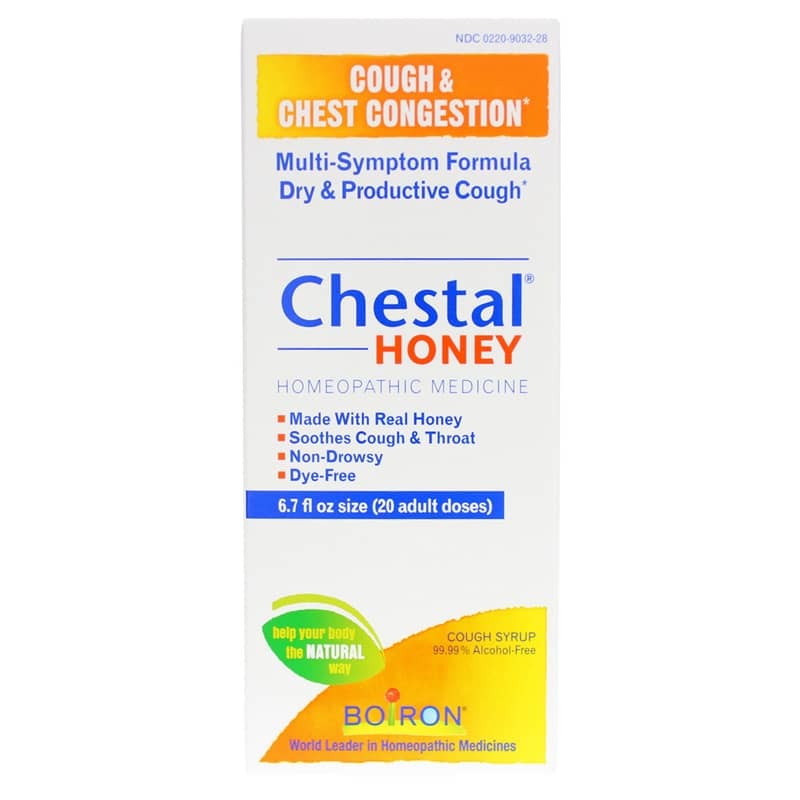 Order Chestal Honey Cough & Congestion Syrup. 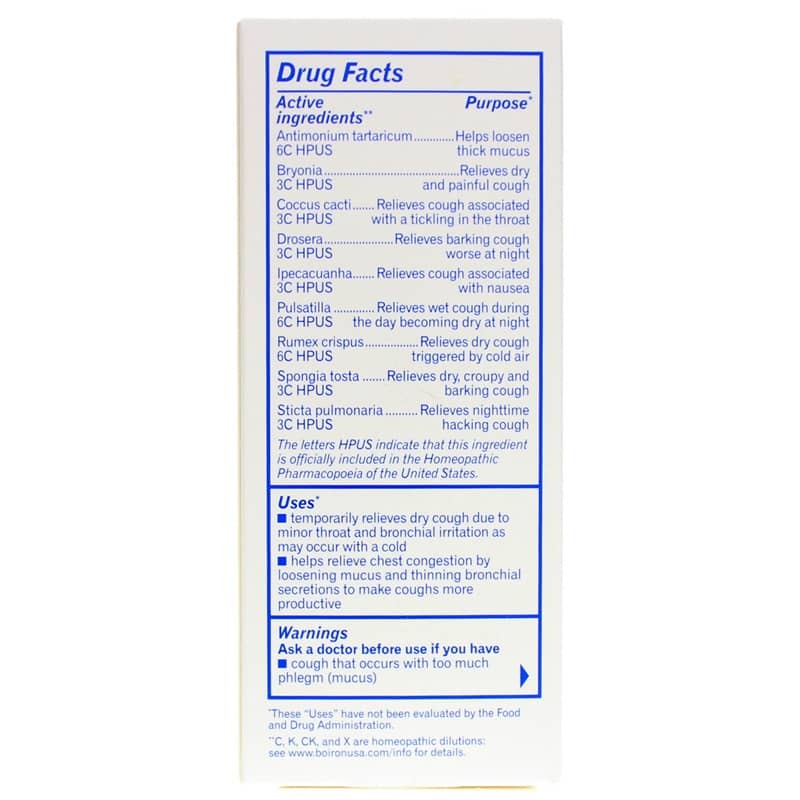 Inactive Ingredients: citric acid, honey, purified water, sodium benzoate, sucrose. Contains 4.1 g of sugar per 5 mL. Contains 0.01% alcohol. Adults and children 12 years of age and older: Take 10mL every 2 hours. 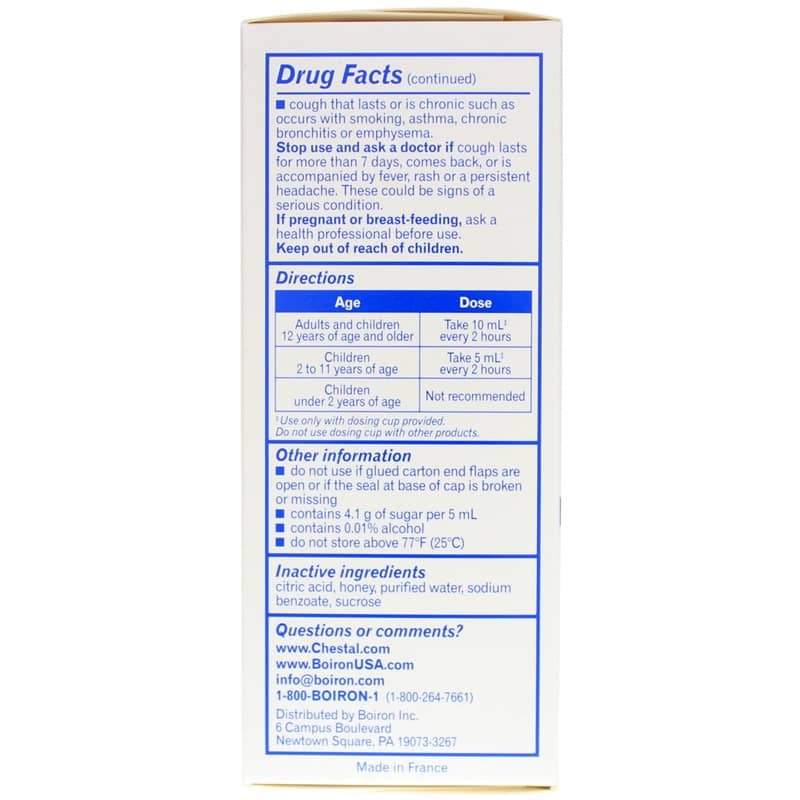 Children 2 to 11 years of age: Take 5mL every 2 hours. Ask a doctor before use if you have: cough that occurs with too much phlegm (mucus); cough that lasts or is chronic such as occurs with smoking, asthma, chronic bronchitis or emphysema. Stop use and ask a doctor if cough lasts for more than 7 days, comes back, or is accompanied by fever, rash or a persistent headache. These could be signs of a serious condition. If you are pregnant or breastfeeding, ask a health professional before use. Keep out of reach of children.